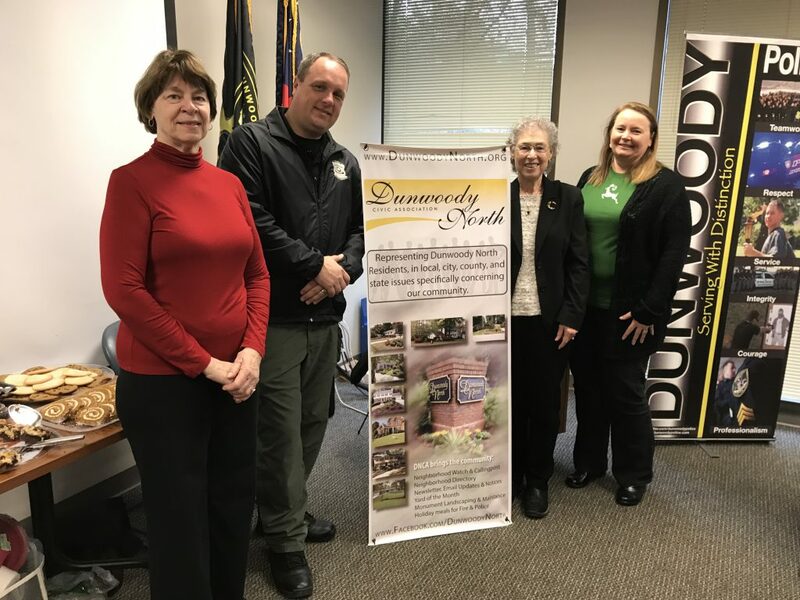 On December 5, 2017 the Dunwoody North Civic Association sponsored it’s annual Holiday Luncheon for the Dunwoody Police Department. This event is always held at Police Headquarters, and is scheduled to occur between shifts so there can be maximum attendance. 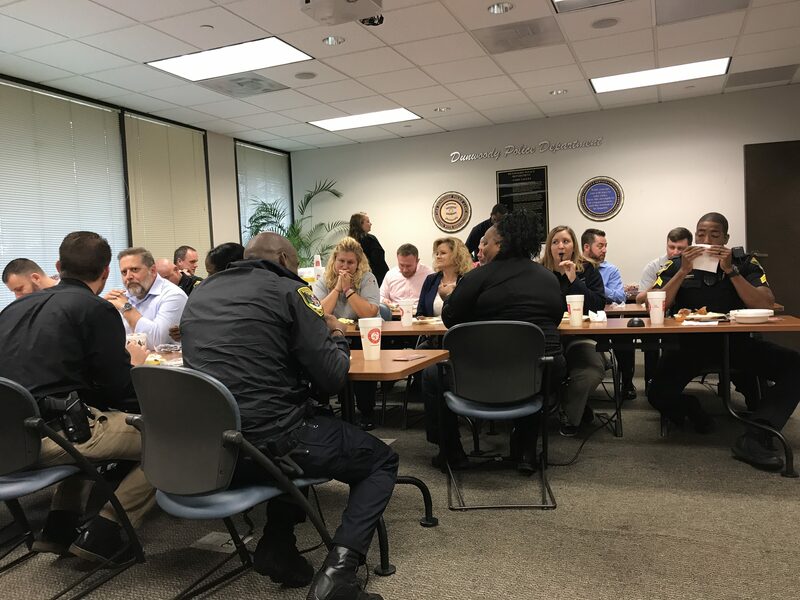 Despite a scheduling conflict with another luncheon for senior police personnel, this was our best attended luncheon to date. The luncheon fare was catered by Shane’s Rib Shack who provided the main course, drinks paper goods and ice and set it all up. In recognition of their high regard for the Dunwoody Police, they were very generous in their pricing, and provided coupons and to-go boxes in the event that anyone was called away in the middle of their lunch. Sufficient food was provided and packed up by volunteers from the Dunwoody North Civic Association for the next shift. I want to thank all those volunteers: Gerri Penn, Kirsten Fitzgerald, Kathy Adams-Carter, Ellen Mauldin, Ann Marie Hanlon, and Judy Hofer who either provided a home baked dessert or who both baked and helped set-up. Your efforts were greatly appreciated. We also extend our thanks to Mark Stevens, our police liaison, for coordinating our efforts. It turns out that we are the only group that provides the police with such an elaborate annual luncheon.